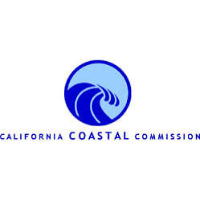 The California Coastal Commission (CCC) is an unelected body that overrides the elected governments of coastal counties and cities on land use and property rights issues. The Commission wields enormous clout, but for more than 30 years it has lobbied for the power to levy fines directly, instead of going through the courts. As Josh Richman noted in the San Jose Mercury News, the state has now given the Commission this power. It certainly has in the past, violating property rights, quashing development, evicting families, and making the coast an enclave for the wealthy. Bruce Johnson, founding research director of the Independent Institute, was one of the original appointees to the California Coastal Commission in 1973. He resigned after six months as he witnessed the rampant corruption, ignorance, and injustice underlying the Commission’s operations. In the 1990s, Commissioner Mark Nathanson served prison time for shaking down celebrities. The new power to levy fines will make that kind of corruption much more likely. And even more power is surely on the way. Speaker Atkins claimed that the power to levy fines “is a small piece of what they should be allowed to do in order to protect the coast.” So the expansion of Commission power is indeed on Atkins’s agenda, and to get more power the Commissioners never need to face the voters. In California, regulatory zealots are number one. Taxpayers aren’t even number two.